At first glance, Evolution looks like a completely standard slot with its five reels and three rows. However, the fact that symbols don't go from top to bottom but vice versa, makes it special. Some people might have to get used to this, but in effect, nothing really changes. The symbols used on this slot are fun and even the standard symbols have been altered to fit the theme. The sound effects fit well within the other aspects of this slot. The animations on the slot are hard to describe... Darwin definitely didn't come across these creatures. It seems that the animations are of cross-over animals. These cross-overs will transform during free spins. And that might already be reason enough to check out this game! 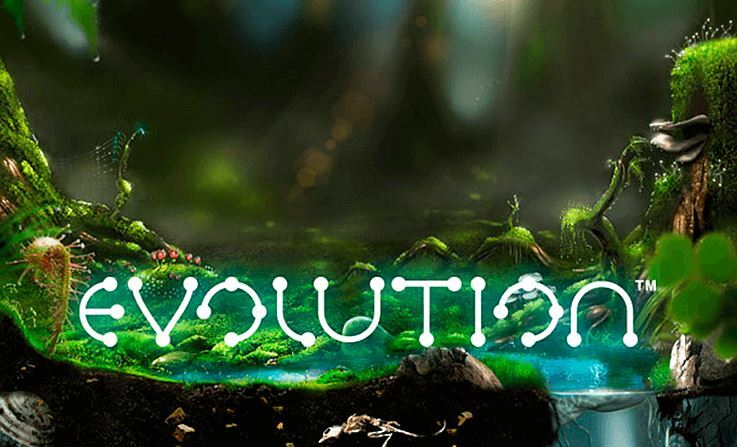 Evolution is a slot by Net Entertainment with a remarkable feature. Namely, whereas symbols move from the top to the bottom in most other slots, here, it goes the other way around. That is, the symbols float upwards. Don’t except Darwin’s teachings, but the slot does have something to do with evolution. Namely, you can upgrade symbols from paying pretty well to paying rather well. 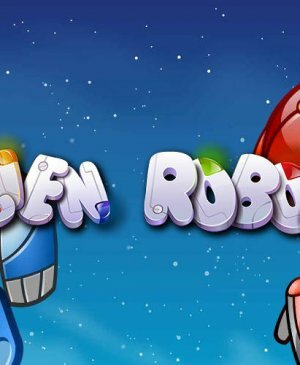 This, you can only do during free spins, so the sooner you reach free spins, you sooner you can win the maximum potential win of 44,000 coins. 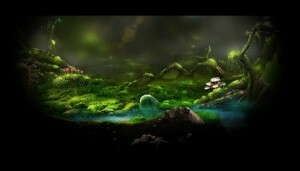 Unfortunately, you do not have any influence on when you reach free spins, of course. At first glance, Evolution looks like a completely standard slot with its five reels and three rows. However, the fact that symbols don’t go from top to bottom but vice versa, makes it special. Some people might have to get used to this, but in effect, nothing changes. The symbols used on this slot are fun and even the standard symbols have been altered to fit the theme. The sound effects fit well within the other aspects of this slot. The animations on the slot are hard to describe… Darwin definitely didn’t come across these creatures. It seems that the animations are of cross-over animals. 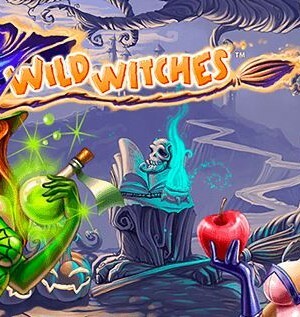 These cross-overs will transform during free spins. And that might already be reason enough to check out this game! Pay lines-wise, Evolution is a simple game. The slot has five reels, three rows, and a very fitting 25 pay lines. You will also encounter wild symbols on the reels. You can easily recognize this symbol and it can substitute for any other symbol except the scatter. Namely, once three scatters land on your playing grid, it’s time to play free spins, i.e., time to make some serious cash. Symbols that aren’t very lucrative during regular spins will be worth a lot more during free spins. Therefore, wins will be much bigger when you’re spinning for free. 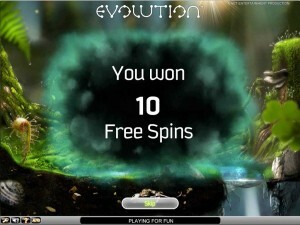 Evolution does not have a bonus game; it only has free spins. Also, Evolution does not have a jackpot and the maximum potential win of 44,000 is way too meager to be considered a jackpot-replacement. 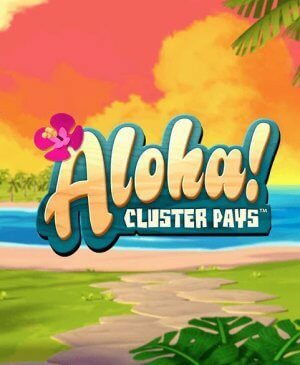 So, this isn’t a slot you will play hoping to get really rich, but it is one on which the small, frequent wins allow you to continue playing this entertaining slot! So, what happens exactly during free spins, the supposed highlight of the game? All symbols that you’ve already encountered underwater, will be taken to another playing grid where it isn’t so wet. The background changes, as does the music. It’s time something exciting happens on Evolution. All symbols part of a winning combination will upgrade one level. Also standard symbols can upgrade. The ten turns into a Jack, the Jack turns into a Queen, and so forth. If you’re lucky, this means that you will only be playing with the most valuable animation: the winged cat. This way, you can really win big during free spins as at the end of free spins, there will only be two to three symbols remaining, leading to enormous wins! So, make sure to reach free spins on Evolution!